The Oba of Lagos, Oba Rilwan Aremu Akiolu, has defended his controversial reaction to the affectionate greeting of the Ooni of Ife, Oba Adeyeye Enitan Ogunwusi, at a public event, as seen in a viral video last week. In the 25-second recording, the Ooni of Ife is seen arriving at the venue of the event, which has the Oba of Lagos, Oba Rilwan Akiolu II, in attendance, seated among an unidentified monarch. The Ooni walks over to embrace the monarchs, but as soon as he approaches the Oba of Lagos, Oba Akiolu looks away, only acknowledging the Ooni with the wave of a hand. The visibly embarrassed monarch then quietly returns to his seat. 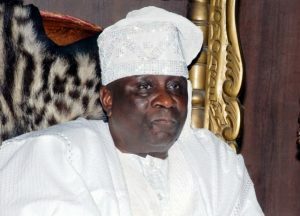 The video clip was met with outrage on social media and among prominent Nigerians, with many describing Oba Akiolu’s action as disdainful and unbecoming of a Yoruba monarch.